Chocolate ganache may sound grand and complicated but it only consists of two ingredients – chocolate and cream. The process of making a ganache involves heating cream and mixing it with finely chopped chocolate to create a glossy mixture, perfect for topping rich chocolate cakes or turning into decadent hand-rolled truffles. The only real variant is the amount of cream required; a general rule of thumb is a ratio of two parts chocolate to one part cream for a firm ganache, usually used for truffles, even quantities for icing and two parts cream to one part chocolate for a luxurious, shiny chocolate sauce. As there are so few ingredients needed to make a ganache it is really important to use the best quality chocolate you can find. Use dark chocolate with cocoa solids over 70% and stay away from ‘cooking’ chocolate as the flavour is inferior. Ganache can also be made with milk chocolate, but be sure to lower the amount of cream you use as the higher fat and milk content will give a softer set. 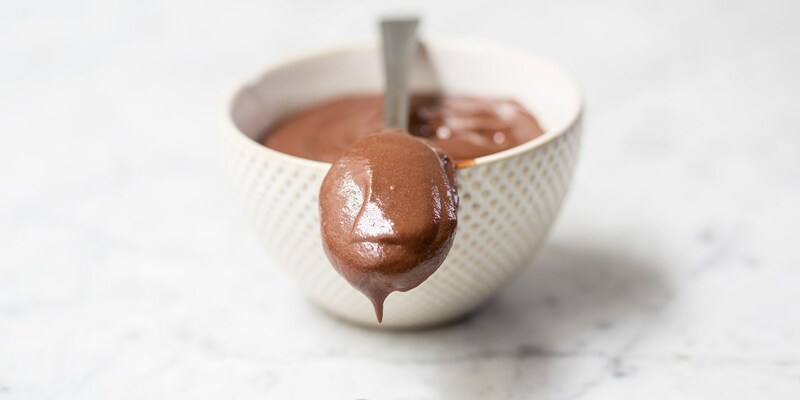 Pour the cream over the chocolate and stir vigorously with a wooden spoon for a few minutes to combine until the ganache becomes emulsified, shiny and glossy. To really bring out the flavour of the chocolate add a pinch of flaky sea salt to the cream when heating. You can also try infusing the cream with different flavours; citrus zest, coffee and mint all work really well. For a boozy truffle add a liqueur such as Cointreau or brandy or try adding whisky or rum. Just be sure to adjust the amount of liquid accordingly. For a whipped-style ganache (great for icing cakes) use a 1:1 ratio of chocolate to cream and leave to set in the fridge completely before whisking with an electric whisk until whipped and soft. It will be much lighter in colour and texture. Ganache is commonly used for making chocolate truffles; Martin Wishart makes Armagnac flavour truffles and Paul A Young’s Gingerbread-spiced ganache makes a great petit four. Adam Simmonds adds orange to his dark chocolate ganache and serves with a refreshing orange parfait while Mark Dodson uses peanut butter to create an irresistible tartlette.